This is issue #50 and released in January of 1994. 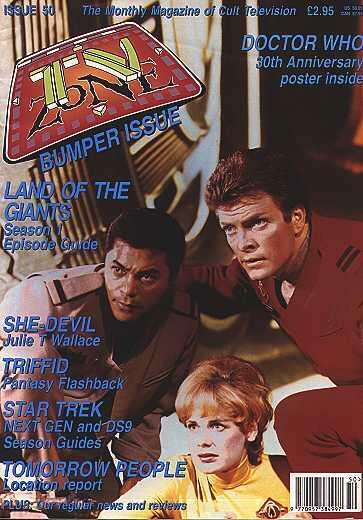 The issue includes a listing and short bio of Land of the Giants first season on ABC-TV. It also includes a 5 page article on the series with 7 photos, and 1 full cast color photo. This publication released many articles, photos, and stories over the years of everyone's favorite TV series.